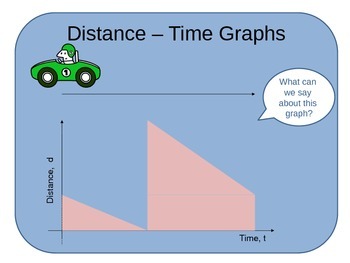 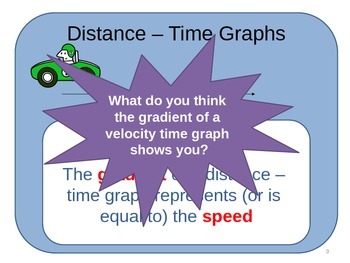 Powerpoint lesson teaching students about distance time, speed time and velocity time graphs, including how to calculate the acceleration from a speed/velocity time graph. 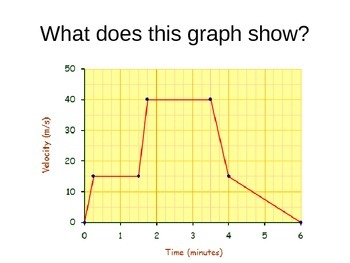 The lesson includes answers to allow for self or peer assessment. 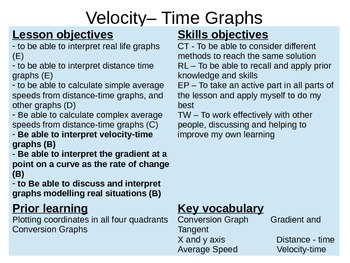 It also includes an interactive activity in which students can differentiate themselves through output.